Below is the list of top prescription medicine delivery Apps in India. You can avail great offers when you purchase online through these Top Prescription Medicine Delivery Apps in India. Medlife stays at the top of my list as their response time is faster and also provide good discounts. If you are ordering for the first time, they have Medlife coupons which you can redeem during check out and get discounts on your prescription medicines to 60%. You need to upload your medical prescription online, order how many tablets or capsules you need, add Medlife Discount Coupons and place an order. You will get a confirmation call for the order and then you will get a payment link for payment. It’s very simple to order medicines through Medlife. Use the banner link below and use some of the popular Medlife Coupons like GMED50 to get 50% discount on your medicines. 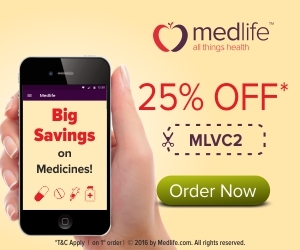 We will updating the Medlife coupon codes in coming articles with the offer information. Netmeds is another top prescription medicine providers online. The procedure of ordering medicines is the same as Medlife and they have various payment options like creditcard, paytm etc. 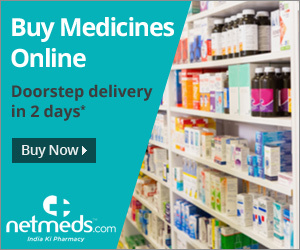 You can order medicines in Netmeds by using the banner link below and using the Netmeds coupon codes to get great discounts. Some of Netmeds coupon codes like 20% discount on your medicines can be availed through the link if the offer is available. 1Mg is another top medicine delivery apps which you can use to order medicines online in India. Even though it is one of the first apps to launch, Medlife got more popularity compared to 1Mg.